The latest Irish grocery market share covering the 12 weeks to 24 March 2019. Consumption dropped by 2.1% in volume while value grew just 1.5% in 2018 compared to 2017. FMCG in Asia sees an overall positive growth by 4.3% in Q4 2018, compared to 4.1% in Q4 2017. The latest Irish grocery market share release covering the 12 weeks to 24 February 2019. Kantar has launched its new online platform called the Kantar Marketplace in 21 countries. The latest UK Grocery Market Share covering the 12 weeks to 24 February 2019. The whitepaper explores the measures retailers and suppliers are taking to prepare for Brexit. The service covers 5,150 households across Bangladesh and provides more granular insights to brands. The new survey provides in-depth tracking studies of purchasing and usage trends for DA & TV. New store formats and takeaway food will be two competitive dynamics to bear in mind in 2019. Spending in fast moving consumer goods across China grew by 4.3% year on year, the same as in 2017. The FMCG and self-service fresh produce markets in France decreased by 1.2% in 2018. Young families in low-tier cities contributed 85% of FMCG sales value growth in local markets. 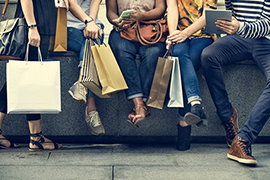 How using purchase data can help brands make better advertising decisions in complex environments. Finding growth in the Brazilian beverages market covers the market dynamic in In & OOH performance. We have enhanced our FMCG consumer panel in Sri Lanka in a joint initiative with Kantar LMRB. Who will be in control of your home this Christmas? Around 20% of US households own a voice assistant device, with Amazon leading the market. Market in Latam has contracted for the second consecutive quarter, with a volume decline of -1.6%. China local insurgent brands have captured 6% market share but represent 20% of the category growth. 21 FMCG companies reached over 100 million urban households during the 52 w/e October 5th 2018. E-commerce in China continued to report very strong growth in 2017 across all regions. The UK grocery market share figures covering the 12 weeks to 10 October 2018. In this new edition of Perspectives we talk to Stéphane Roger, Global Shopper & Retail Director. Influencers have engaged audiences who trust them and seek their opinion on beauty and fashion. For Vietnam only, online is flourishing seven times faster than FMCG in total modern trade. The latest grocery market share figures covering the 12 weeks ending 9 September 2018. Kantar identifies the major digital challenges to improve marketing in a stressed digital era. The latest UK meat, fish and poultry update covering the 12 weeks to 12 August 2018. Ramki talks about FMCG in India, a changing brand landscape and new consumer panels. How can beauty brands adapt to the changing needs and behaviours of American shoppers? Only if you understand how your product is used, you will understand how to market to consumers. Our latest figures show sales soaring by 3.1% in the midst of the recent summer heatwave. Leisure has ceased to be a priority on the list of the most significant expenditures in Brazil. China's FMCG market rebounded in 2017, as consumers showed efforts to live healthier lives. During the first quarter of 2018, the Philippine economy sustained improvement at 6.8%. Référenseigne Scoop FASHION 2018 is out, an overview of the textile market at the beginning of 2018. Vietnam's FMCG market is expected to grow at +5% in 2018. Victoria Aspinall, Client Consultant, Expert Solutions, explores the topic of premiumisation. The Irish grocery market continuing to perform strongly, with overall sales up 3.1% on last year. Just a dollar a day: Understand Latam families' FMCG spend to win share of wallet. Cash & Carry stores are now selling directly to 46 million households across Latin America. Door-to-Door household purchases fell 10.5% in value in the Peruvian market in 2017. Mass consumption in Argentina saw a two per cent reduction in January 2018 compared to January 2017. E-commerce continued its growth momentum since Double 11 in 2017, hitting a record high share. A 360° view of the‘new seniors’: who they are, their shopping habits, the brands they choose, etc. The FMCG key trends that we can expect this year in Vietnam. The FMCG market continues to perform strongly in Vietnam but fine-tuning will always be required. Household spending on groceries grew by 1.3% in 2017 in Spain. The fashion sector stabilised again in Spain after growing 0.4% in value in 2017. We continue to grow our presence in Africa with the launch of a new consumer panel in Morocco. In Ireland, sales of branded goods are up 4% year on year. In France: more focus on the ingredients of products that are consumed and used in the home in 2017. Dunnes Stores remains Ireland’s largest supermarket in the run up to the festive period. Winning brands are helping consumers to balance their nutrition, regardless of regulation. Sales of groceries through e-commerce platforms grew by 30% in the 12 months to March 2017. SuperValu and Tesco are neck and neck in the race to be Ireland’s largest supermarket. 4 facts to prove the relevance of out of home in Latin America. In H1 of 2017, the French grocery market showed a slight increase in value of +0.4%. Latin Americans consider their country’s economic situation to be worse than it was a year ago. iOS market share in the EU5 was flat, held back by a resurgent Samsung in Great Britain. The State of Online Grocery in the U.S.
Online grocery in the U.S. is on pace to post $55 billion in sales by 2021. Representing 19% of the sales revenue for FMCG goods, Millennials spend less than older age groups. Inflation continues to rise contributing to another period of growth for the grocery market. Discounters now reach more than 60 million families in Latin America's main cities. As of February 2017, the Galaxy S5 remained the most popular Samsung device in the US. Sales of physical games grew by 0.5% year on year, in contrast to music and video. A key question to answer is if Mexic would be facing a challenging 2017 for FMCG spend. UK: Is branded clothing becoming more important? Fruit and vegetables saw prices rise by more than 5% during the past 12 weeks. Shoppers spent £480 million more at the tills than in 2015, leading to record sales. Singles’ Day is the world’s largest shopping day. Kantar Worldpanel’s latest figures for the 12 weeks ending 7th October 2016 in China. Can the famous Nokia name make a comeback? Fresh food products continue to be key in the evolution of FMCG. Despite continued deflation of 1.1%, supermarket sales increased by 0.3%. 15% of US Consumers Own a Smartwatch or Fitness Band, 8.1% in EU4. Crunching our data and exploring the rumors ahead of the Apple event on September 7. The market grows at 0.3% as an upturn in the weather spurred consumers into increasing their spend. Status of smaller players reflects market trends around prepaid and modular. The Brexit has had no immediate impact on the prices or the sales volumes. Take-home wine spend grew by 3.3% while out-of-home sales rose by 3.9% in Spain. Supermarket sales fell by 0.2% as like-for-like grocery prices declined by 1.4% on last year. Consumer spending on FMCG in China grew by 0.6% this period, the lowest rate of growth 2016 so far. The FMCG industry has shifted to a competition that is driven by innovation. The penetration of e-commerce in county level cities saw the fastest gains, growing 48.9%. The overall grocery market increased by 3.8% as shoppers bought more fresh ingredients. Filipinos are ‘upsizing’, or buying FMCG products in bigger sizes. Among the most health conscious, fruit juice consumption has fallen 25% in a year. Video games gave the high street a welcome boost in the run up to Christmas. Around 6.1% of Portuguese families purchased online during the last 12 months. The latest figures show the extent of the impact of the TalkTalk personal data hack in October 2015. Modern trade continues to gain ground over specialists and traditional trade. The pet food business will increase dramatically in the future. The past quarter saw 68.4% of all physical entertainment sales came through the high street – up from 64.6% last year. Chinese FMCG market only grew 2.7%, which hits the lowest growth rate over the last 3 years. It looks like soaking in a bath isn't dead just yet, at least not in Britain, Russia and Poland. The latest supermarket share figures show a year-on-year growth in sales of 2.1% across the Irish grocery market. Shopping habits reflect a country’s demographics, geography and infrastructures. Values and lifestyles also play a role. The 2015 China Shopper Report V.2 focuses on how retailers and e-tailers have been impacted by the FMCG market slowdown. The latest grocery share figures show overall supermarket sales growth up by only 0.8% compared to a year ago. Asia’s FMCG slowdown has been felt most acutely in China, where growth declined from 15.8% in 2011/12 to 5.4% today. 87% of U.S. iPhone Owners Planning to Upgrade in the Next Three Months Prefer Apple. Over the past few years, hypermarkets in China struggled to grow as overall retail sales growth weakened. Tesco – Ireland’s biggest supermarket – has returned to growth for the first time since March 2013. This is the sixth consecutive month that sales among the grocers have grown by less than 1%. What Brand Footprint data tells us about growing brands and shopper behaviour. New research has found a shift in the contents of children’s lunchboxes since the millennium. The retail channel is developing fast towards multi-format model. In the U.S., both the iOS market share decline and Android share gain decelerated. The latest supermarket figures show growth in sales of 1.4% across the grocery market. Industry growth of around or below 1% has now persisted since summer 2014 and has become the new normal. Apple iOS returned to growth across EU5, while its share dropped in the U.S.
Lidl increased sales by 8.1% in the past 12 weeks. Sales have increased by 0.8% compared with a year ago, with stronger growth being enjoyed by the smaller retailers. Projections show that India will soon be the second largest smartphone market in the world after the US. Dunnes demonstrated a strong performance, growing sales by 6.3% in the past 12 weeks to reach a market share of 22.2%. In Urban China, Huawei Becomes the Best Selling Android Brand. The New Galaxy S6 was the Third Best-Selling Smartphone in the US for the Three Months Ending May 2015. Tesco has reclaimed its position as Ireland’s number one retailer, having lost out to SuperValu in previous months. Four out of the top five FMCG brands are home-grown UK favourites. How Delivery and Brand/Sales Effectiveness Can Drive Digital Advertising ROI in a Cross-Media World. Intense competition for Ireland’s grocery top-spot with Tesco and SuperValu level on market share. The popularity of Apple iOS continued to grow in Europe's five largest countries, reaching a 20.3% share. Vietnam’s economy expands at an annual rate of 6%, the highest growth rate recorded in the last 5 years. Just 33% of US buyers did no research at all before purchasing their device. The focus on inner beauty is driving the growth of skin care market in China. The Premium landscape today in India is experiencing strong evolutionary undercurrents. Low income families used to account for 9.6% of total urban China in 2012 but it decreased to 7.6% in 2014. Kantar Worldpanel France worked with Coca-Cola to measure the impact of its iconic Polar Bears campaign. Kantar Worldpanel has been recognised as an outstanding employer in the UK, Ireland and Greater China. The latest data show contrasting fortunes among the major supermarkets in an increasingly competitive marketplace. The grocery market in China grew at 4.4%, one percentage point below the 2014 annual value growth. Deflation has reached a new low of -1.6% as price competition between the supermarkets continues to impact the market. This paper describes evolving consumer trends in mobile device markets and relevant results from consumer surveys. We picked the most interesting mobile questions from our Twitter followers and asked our panels in the US and GB. With the increasing mobility of Chinese consumers, the panel will reveal new insight on real consumer behaviour. China's overall macro-economic growth slowdown continues in 2014. Driven by trading up, Chinese toothpaste market grew 8% for the latest 52 weeks up to Dec 26th, 2014. Leading up to MWC, Kantar Worldpanel ComTech is giving YOU the opportunity to ask our consumer panels three questions. Android’s market share dropped in most European markets and in the US. Recent US, GB data suggest smartwatches have yet to catch on. It's been three months since the latest food safety incident, but the FMCG market is still showing no signs of recovery. Kantar Worldpanel reports 5.1% value growth for the chinese FMCG market over a year ago. The winners adapted themselves to actual shopper behaviours, rather than try to change them. Kantar Worldpanel ComTech data for US smartphone sales show the brand's potential to capture strong sales in holidays. FMCG spend in emerging markets has slowed from 8.8% to 7.5% – equivalent to $8.3 billion of lost growth. Android is continuing its dominance of the European* OS market with a 73.9% share. SuperValu is the only major multiple grocer to be in growth other than the discount retailers. GDP growth acceleration not strong enough to boost consumers' spend in FMCG. Kantar Worldpanel reports 5.7% value growth for the China's FMCG market for the latest 52 weeks up to Sep 5th 2014. Aldi and Lidl are continuing to post impressive performances. The growth of the fast-moving consumer goods (FMCG) market continued to slow in China over the last 12 months. Market slow down and government regulation are changing baby products' market structure and dynamics. Brands can reap significant rewards from reality shows sponsorship deals, if they choose the right programme. Consumers are now less likely to spend their drinks at more costly places such as coffee shops and restaurants. The latest supermarket share figures in Ireland show food and drink prices rising at the lowest level since March 2012. All key channels remain stagnant while wet market is shrinking over the past quarter in Urban. Taiwan's aging society: market foe? or FMCG's opportunity? Local brands are winning in the UK. Home-grown brands come out on top in our ranking of Ireland’s most chosen FMCG brands. The global giant Unilever is the No.1 brand owner in Rural Vietnam. Local brands grew by 1.5% compared to only 0.7% for global brands. During the recession shoppers turned to ‘little and often’ shopping, this trend is now changing. Time to grow pack sizes in Mexico? The latest figures show strong sales growth for both Aldi and Lidl with respective growth rates of 21.9% and 11.1%. By the end of 2013,for those iPhone users who also own a tablet device,64% of them are using iPad (iOS) in China. 53% of US consumers interviewed in 4Q13 said they will not buy a tablet in the next 12 months. Kantar Worldpanel has been recognised as an employer of choice in UK, Ireland, France, Spain and Mexico. Kantar Worldpanel UK is celebrating its listing in The Sunday Times Top 100 Companies. People are less loyal to mobile handsets than to OS. The latest grocery share figures from Kantar Worldpanel, show a further step in the remarkable rise of Aldi. The latest report shows that P&G continues to maintain its leading position on the number of consumers in China. €30 million uplift in consumer spend as a result of the heat wave compared with the same period the previous year. Apple’s iOS has surged 5.2 percentage points to 30.5% of the British smartphone market. Lower income groups are particularly hard hit, with a decline in their average spending for total FMCG. Kantar Worldpanel Vietnam reports a modest growth of FMCG market during the latest 12 weeks up to May 19th 2013. Polarisation continues, with Aldi, Lidl and Waitrose all stealing share from the big four retailers. The latest grocery share figures and expert opinion for the GB, Ireland, Spain and Portugal markets. Kantar Worldpanel Vietnam reported a slow-down in growth of FMCG during the latest 4 weeks up to April 21st 2013. Windows growth fueled by share gains among 25 to 34 year olds. Kantar Worldpanel provides a unique understanding on the current status of beauty habits across China. Kantar Worldpanel Vietnam held their Kantar Worldpanel Dairy Talk on May 8th, 2013, at Sheraton Saigon Hotel. Steady growth of FMCG market in Vietnam during the latest quarter up to March 24th 2013. The latest grocery share figures from Kantar Worldpanel show an increasingly polarised grocery market. ...yet RT-Mart continued its unstoppable march. Healthy growth of FMCG market in Vietnam during the latest quarter up to February 24th 2013. The latest supermarket share figures show Superquinn growing ahead of the market for the first time in five years. Price drops on Sprint in U.S. result in share increases for both the carrier, Samsung and the Android OS. The latest grocery share figures from Kantar Worldpanel show Sainsbury’s is the clear winner among the big four. Kantar Worldpanel France has become one of the 2013 Top Companies to Work For in France. We compile market information about the latest movements and provide an integrated view of Asian region. The latest supermarket share figures reveal the initial impact of January’s horsemeat scandal on consumer shopping habits. Among the categories Kantar Worldpanel monitor, 7 out of 10 enjoyed average family spending level increase of over 3%. Vietnamese consumers double their FMCG spending during Tet. The latest grocery share figures reveal the impact of the first five weeks of the horsemeat scandal. ...as local retailers continue to outperform international competitors. The latest supermarket share figures from Kantar Worldpanel in Ireland show Dunnes’ improving fortunes in recent months. The latest grocery share figures from Kantar Worldpanel UK show Tesco maintaining its market share. ...but it’s still an open ball game if HMV closes its stores. Festive grocery share figures from Kantar Worldpanel show the grocery market growing at 3.8% over Christmas. The latest supermarket share figures from Kantar Worldpanel in Ireland show Dunnes increasing its share. iOS sales share tops 50% for the first time due to iPhone repeat buyers and first time smartphone buyers. The latest grocery share figures from Kantar Worldpanel UK show the grocery market growing at 3.2%. Discover the key consumerism trends and see the big picture on how Vietnamese are changing the way they shop. The Irish grocery market has grown by 0.1% –the first increase recorded since the Easter boost in April. The latest grocery share figures show sharply differing fortunes for the big four supermarkets. The latest supermarket share figures from Kantar Worldpanel Ireland show a growth of almost 30% in Aldi's market share. ...as low-end Nokia Smartphones drive platform growth. Kantar Worldpanel ComTech is expanding it’s mobile and tablet operation by launching a new panel in Japan this month. The latest grocery share figures from Kantar Worldpanel show the grocery market growing at 3.3%. The Irish grocery market has fallen by 0.9% over the past year. 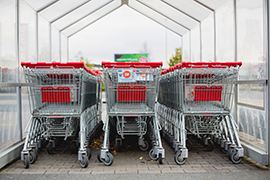 The latest grocery share figures show the grocery market has bounced back and is now growing at 3.9%. The grocery market has fallen by 1.3% compared with the same period last year, the steepest decline since August 2010. The latest grocery share figures from Kantar Worldpanel show the grocery market growth rate falling back to 2.1%. New grocery market data shows that Irish supermarkets are continuing to capture more of the domestic grocery market. The speed of price increase in Vietnam is now much faster than income growth rate, risking the consumer purchasing power. The market is growing at 3.2% with a dramatic jump to 11.3% in the run-up to the Diamond Jubilee. Grocery market sees sharp decreases in growth this period. Market grows at 5.0%, the highest level since January 2010, mainly fuelled by food price inflation rather than volume. Android remains the number one OS in Britain, with its share up to 48.5% from 37.8% a year ago. We celebrate our listing on the prestigious Sunday Times Best Companies to Work For, for a second year running. Smartphones made up a remarkable 71.4% of mobile phone sales in the 12 weeks ending 22 January 2012. The top ten FMCG retail groups, in the latest quarter accounted for 39% which has fallen by 1ppt compared to a year ago. Android retains global smartphone crown, however Apple is now growing at a faster rate. The fight before Christmas - How was it for you? CR Vanguard Group has been the star performer last quarter in China seeing a 0.5ppt increase in value share. Dominic Sunnebo discusses Apple’s success in Britain and looks at how other mobile brands can build customer loyalty. The last research from Kantar Worldpanel Comtech's shows that 3.62 million people in Great Britain now own a tablet. Android holds over 50% Sales share in developed markets, according to Kantar Worldpanel ComTech. New data reveals the mixed fortunes in the smartphone market. The Walmart Group remains the largest grocer in China over the last 52 weeks taking a share of 7.9%. Android has increased its share of smartphone sales in Great Britain to 37.4%. Walmart group remains in front, while Carrefour struggles. Kantar Worldpanel UK entered in "The Sunday Times 100 Best Companies to Work For" awards. 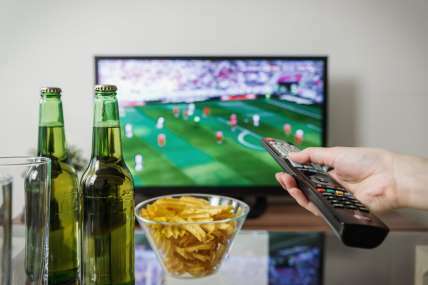 Kantar Worldpanel, has announced the expansion of its UK panel to 30,000 households. The leading study on the analysis of food distribution and brands. We have launched our first app to provide the latest grocery share figures at the touch of a button.